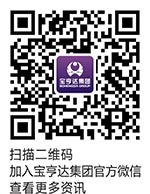 Shenzhen Bohengda Group Co., Ltd was founded in 1989. It is a diversified group. In the future, BHD will build the world's leading jewellery culture industry group. First report the Group and subsidiaries News. Special report on corporate cultural activities and brand promotion activities. Bohengda Group enjoys excellent enterprise culture, various activities. BHD industry covering jewelry, hotel, real estate, medicine, tourism, investment, etc. It initiated a creative route for multiplicity development with distinctive features. BofookLilangJewellery Culture Industrial Park claimed its fame as the “National AAA Scenic Spot”. Baohengda International Hotel is the 1st five-star hotel taking Jewellery culture as its theme. Impala Platinum, the world’s second largest platinum company visited Bofook Mr. Huw Daniel, CEO of PGI made his first visit to Bofook.